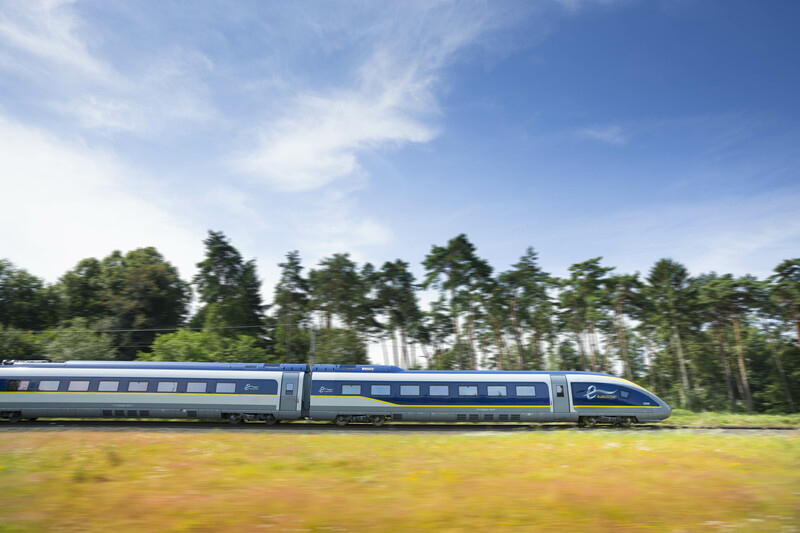 In the last two decades Eurostar has revolutionised cross-channel travel, providing a swift, seamless link between the UK and mainland Europe. With passengers increasingly choosing high speed rail over plane for short haul travel and demand at an all-time high, the business is now set for further expansion of its services into Europe. 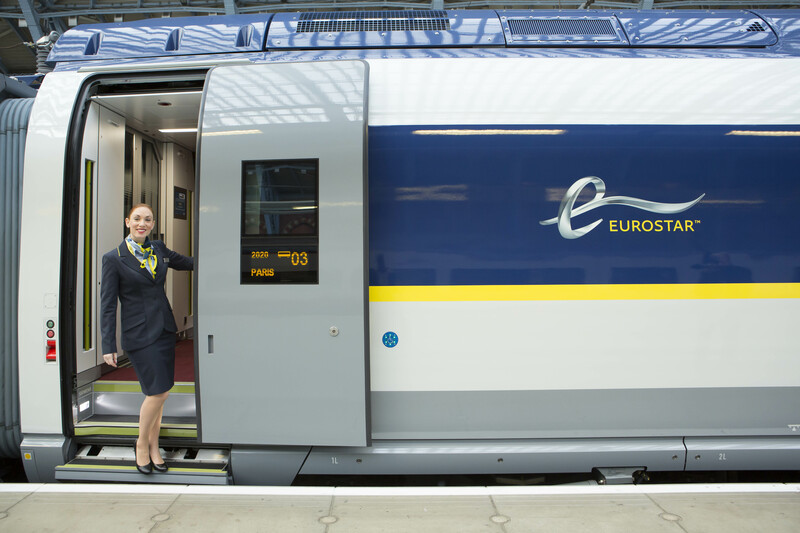 On the eve of its 20th anniversary Eurostar unveiled in public for the first time its new state-of-the-art e320 train scheduled to enter commercial service at the end of 2015. At the same time the company announced its decision to augment its fleet with a further 7 new e320 trains. With the original order of 10 e320s now in the final stage of completion, this increases the number of new trains to 17 in total. Beyond its core routes of Paris, Brussels and Lille, Eurostar serves a range of destinations including the French Alps, Swiss Alps and Geneva. May 2015 will see the start of a new year-round direct service to Provence, stopping at Lyon, Avignon and Marseille, followed at the end of 2016 by the launch of a direct route to Amsterdam with stops in Antwerp, Rotterdam and Schiphol along the way. The introduction of the e320 represents a major advance for international high speed rail. 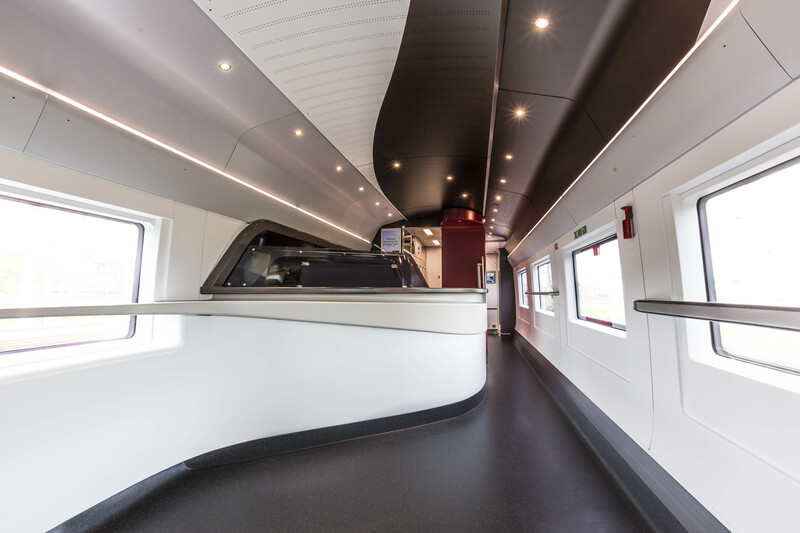 Built to a bespoke specification these trains are ‘inter-operable’ with the ability to operate across diverse European signalling systems, opening up the potential for a whole range of new direct services between the UK and European city centre destinations. Carrying 900 passengers, the e320 boosts capacity per train by 20% and is capable of reaching a speed of 320 kph (200 mph). 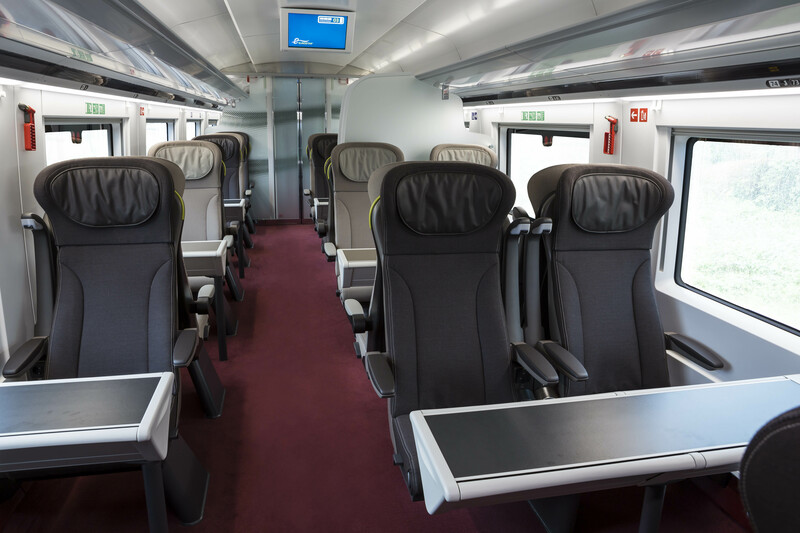 With the external livery and interiors designed by Pininfarina, the legendary Italian design house, world-renowned for its iconic car designs, the new Eurostar train boasts many innovative features aimed at maximising energy efficiency and delivering an enhanced experience for travellers. 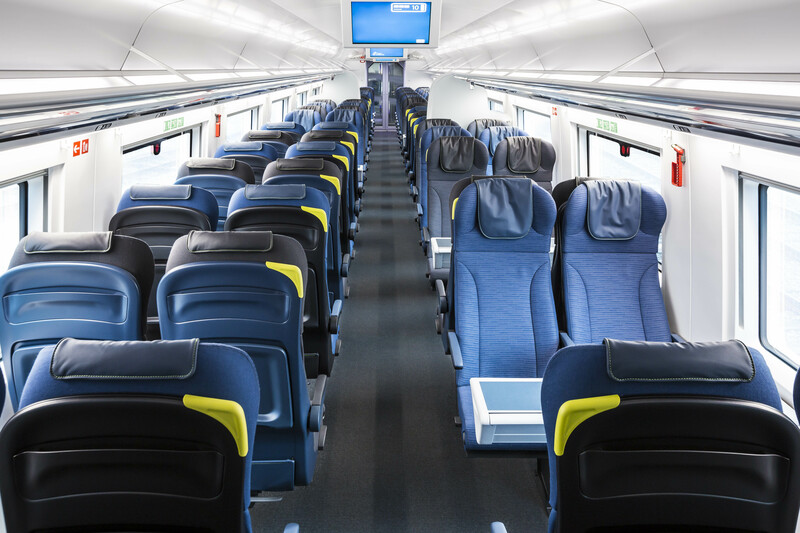 Recognising the importance of connectivity for passengers, going forward, the Eurostar fleet will be equipped with free wifi throughout the train, allowing customers to email, chat and tweet during their journey. The new wifi portal will provide a range of information and entertainment including live news feeds and weather reports as well as a collection of destination guides. With the introduction of the e320, customers will enjoy more space per seat with each seat equipped with power points and a USB socket. Business passengers will experience the ultimate in on-board comfort with a carefully designed environment aimed at maximising productivity whilst offering a relaxing space. For leisure customers the e320 will represent a considerable upgrade with a newly designed bar buffet, ergonomically designed reclining seats and increased luggage areas. 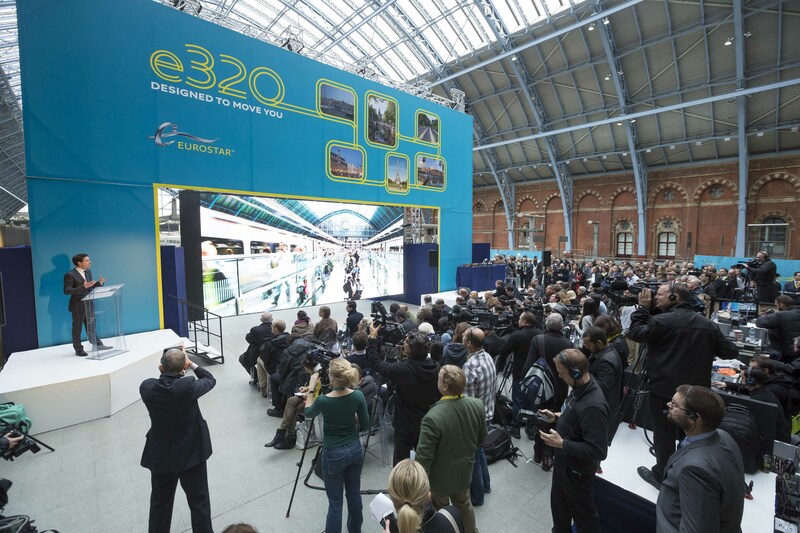 To mark its two decades of service, over the next two weeks, Eurostar will be staging a programme of celebratory activities on-board its trains and in its stations. This includes surprise golden tickets, giveaways and special events for customers as well as a dedicated birthday promotion running between 13 and 24 November offering returns in Standard for £59/€69 and in Standard Premier for £149/€179 - for travel between 5 January and 12 February next year. 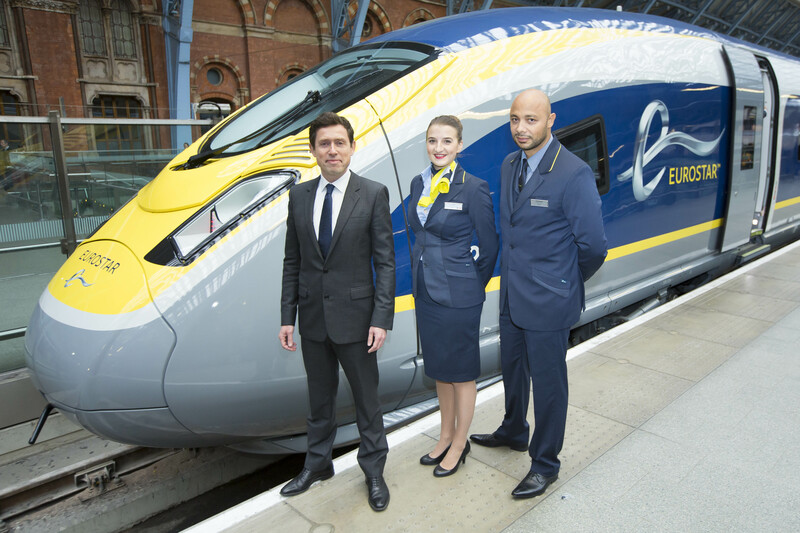 The new Eurostar e320 is being unveiled today, Thursday 13 November 2014, at St Pancras International station on platform 5 from 08.00. 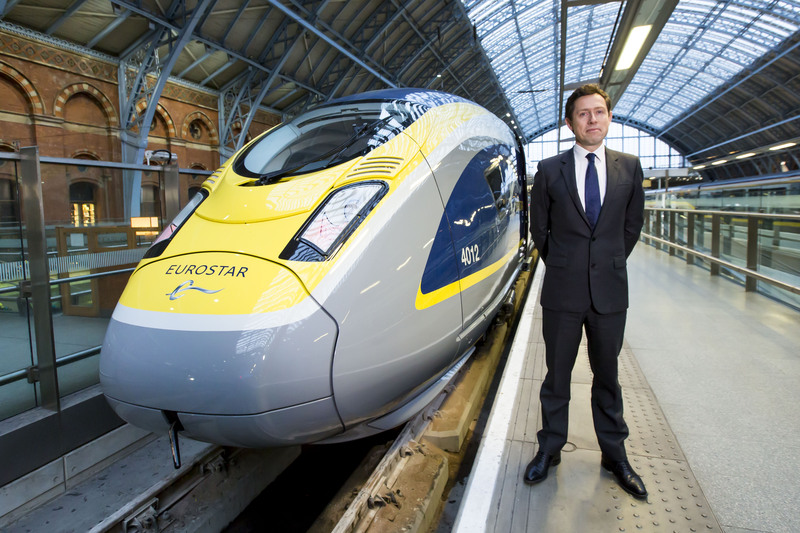 Nicolas Petrovic, Chief Executive of Eurostar, will make a presentation to the media which will be followed by the unveiling of the new train and an on-board tour. The new Eurostar train is called the e320 because it can reach a speed of 320 kph (200 mph). Eurostar is the high-speed train service linking St Pancras International, Ebbsfleet International, Ashford International, Paris, Brussels, Lille, Calais, Disneyland Resort Paris, Avignon, the French Alps, Swiss Alps and Geneva. Eurostar was established in 1994 as a partnership between three railway companies: SNCF, SNCB and LCR (London and Continental Railways). On 1 September 2010, Eurostar became a single, unified corporate entity owned by three shareholders: SNCF, SNCB and LCR.